Well GO USA recently send us information their upcoming release of the South African thriller "Accident". The film stars Stephanie Shield (Death Race 2), Roxane Hayward (Death Race: Inferno), Tyrone Keogh (Starship Troopers 3: Marauder) and Keenan Arrison (upcoming: Tomb Raider). 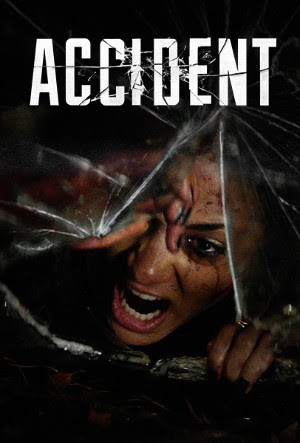 "Accident" hits VOD platforms on April 3rd. ACCIDENT, the first feature-length film from writer/director Dan Tondowski, debuts exclusively on digital March 6 from Well Go USA Entertainment. Tondowski brings together an up-and-coming young cast, including Stephanie Shield (Death Race 2), Roxane Hayward (Death Race: Inferno), Tyrone Keogh (Starship Troopers 3: Marauder) and Keenan Arrison (upcoming: Tomb Raider) for this edge-of-your-seat thriller about a group of teenagers trapped at the bottom of a ravine with a psycho out to kill them. When a foursome “borrows” a car for one night of fun, what starts as a wild joy ride turns into a nightmare. After a violent crash, they discover that being stuck at the bottom of a ravine in an overturned car is the least of their problems. The psychotic owner of the car that they stole has them in his crosshairs and will stop at nothing to get both the car and its contents back.